Women Are Getting Relentlessly Catcalled While Playing "Pokemon Go"
Not even while trying to enjoy augmented reality can women escape the actual reality of street harassment. Reports have begun cropping up of women getting catcalled while playing "Pokemon Go," with guys often using the fact that women are playing the game as an excuse to harass them. In case you've been in a coma for the past week, "Pokemon Go" is an augmented reality game that can be downloaded on iOS or Android, and it has hopeful trainers everywhere catching Pokemon out in the real world. 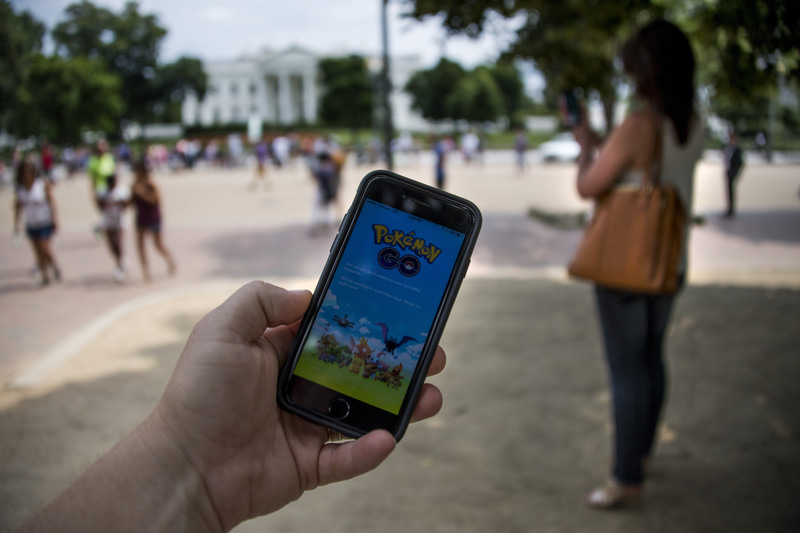 "Pokemon Go" has been hailed by many as a clever way to get us ~tech-obsessed Millennials~ who are always glued to our devices out of the house and into the streets meeting people IRL. The game is only a week old, but it's already racked up 21 million active users and is now the biggest mobile game in U.S. history. In fact, it's on track to surpass Snapchat, according to SurveyMonkey Intelligence reports. That, for reference, is bananas. But while the game is incredibly interactive, and is proving to be a great way to meet new people, that is never an excuse to catcall anyone. Below, women shared their frustrations with street harassers who won't let them enjoy the fun game in peace. Look, I'm self-conscious enough playing in the streets as it is: 1) I spent the '90s reading books while the cool kids were playing Pokemon, so I don't actually know what I'm doing. 2) A lot of people seem to have a lot of strong negative feelings about other people cheerfully enjoying themselves while they play a fun game, so I'm constantly worried about that. 3) I do not like being approached by any stranger at any time for any reason, even if their intent is to patiently mansplain "Pokemon Go" to me. NO. Seriously, catcallers: read the room on this one.